Vitamins are substances that people body needs to function normally. They are natural substances required by the body to grow and develop. Vitamins are contained in food and it is said that a well-balanced diet provides all of the vitamins required. However, there are times, like during pregnancy and childhood, during illness, people body needs more vitamins than usual. It is here multivitamins play a vital role. They are recommended for patients who need extra vitamins, who are not healthy, who cannot eat enough food to obtain the required vitamins etc. Multivitamins represent the preparations, which supplement the diet with vitamins, dietary minerals and other nutritional elements. 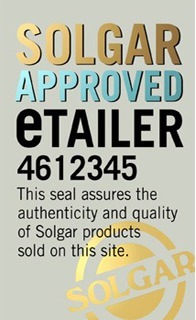 Solgar supplies several different multivitamin supplement products such as Solgar Vitamins Only 30 Capsules.